Hi y’all! 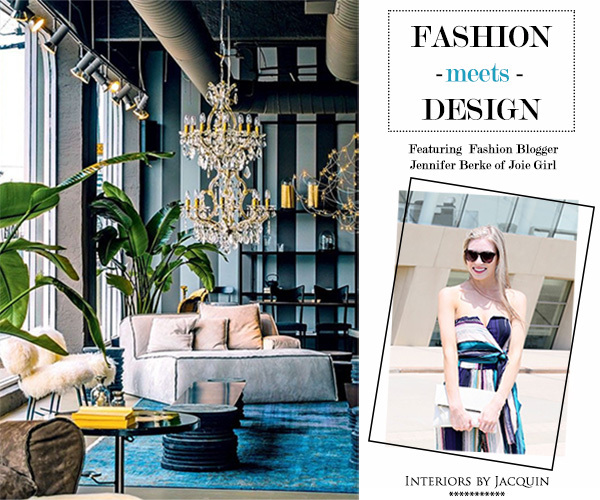 I’m Jennifer, a web designer for boutique stores and the fashion and inspiration blogger behind Joie Girl. I’m from Austin, Texas, where the graffiti encourages people to eat more kale and queso is a part of every meal, including breakfast. I developed my passion for blogging while I worked at Camille Styles and Austin Monthly. Joie Girl is my creative outlet where I celebrate the joys of fashion, food and life. Fashion and style bring me joy, and I love to share that joy with others. 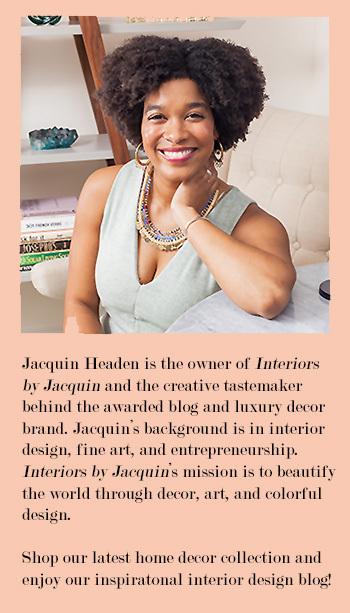 I am so excited to partner with Jacquin for my first post about interior design! My personal style is feminine and classic. I love to stick with chic basics, but on days when I dress up I love a look that is glamorous and a little modern. I love this room because of the rich colors and glamorous feel. Turquoise blue and grey is one of my favorite color combinations, so I felt really drawn to the chairs and the rug. 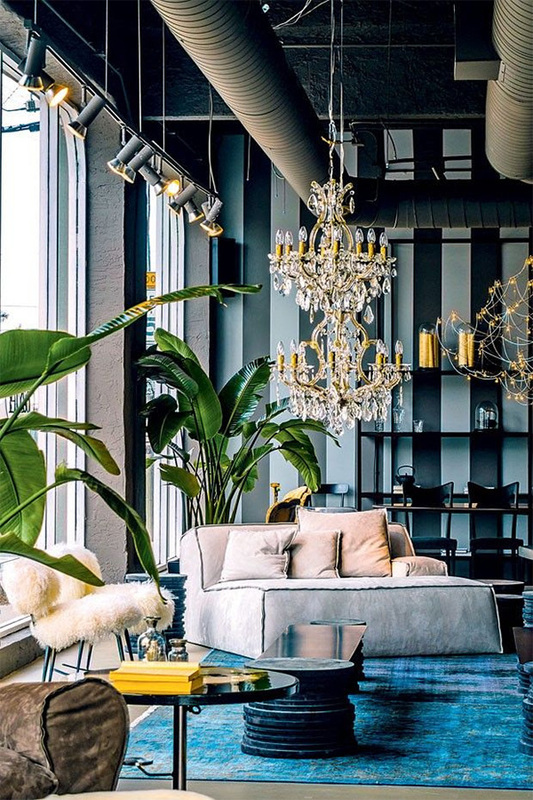 I particularly love the luxe feel of the chandelier and the sheepskin covered chair, and the bright pops of green and yellow bring life and light to the room. The combination of rich and bright colors in this room inspired me to wear this jumpsuit- the turquoise and green stripes mixed with green, pink and yellow stripes make this a colorful and fun look to go out in! The stripes in the jumpsuit mirror the modern, geometric lines of the room, but the wide leg silhouette makes it feel just as 1970s glam and bohemian. I styled the jumpsuit with a white Clare V. clutch and wedge sandals. I kept the accessories to a minimum because this jumpsuit needs no embellishment- it speaks for itself! I have been obsessed with wearing jumpsuits lately- there is nothing easier or more chic to wear in the summertime! You can see more ideas on how to wear the jumpsuit trend on my blog, here and here! For more of Jennifer’s looks visit her on Instagram and Twitter.